Baskin-Robbins is the largest ice cream chain in the world, with more than 7,000 locations in total. 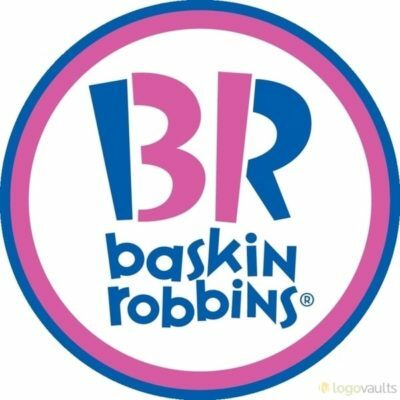 They can trace their roots back to 1945, but the Baskin-Robbins name wasn’t used until 1953. This brand is known all over the world. They were the first to offer such a wide selection of ice cream flavors, and they still have more variety than most. They beat many of their rivals on price. Baskin-Robbins menu prices are some of the cheapest in this industry, and you can pick up everything from a cone to a quart tub for much less than what you would pay elsewhere. So, with that in mind, let’s take a look at the full Baskin-Robbins menu, including all prices. This menu, and those prices, are up to date and should be relevant as and when you’re reading it. What Time Does Baskin-Robbins Close? 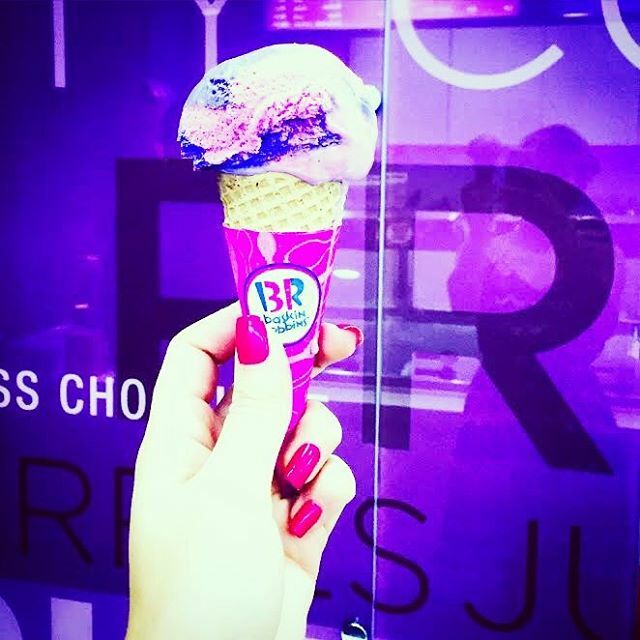 Most Baskin-Robbins locations close at 10pm, but this may differ in certain locations and on certain holidays. To see if they are open on certain public holidays take a look at our Restaurants Open on US Holidays page. What Time Does Baskin-Robbins Open? The opening times differ, but the average seems to be around 8am to 10am. It all depends on the day, the location and whether or not it is a public holiday. Baskin-Robbins like to use the “31 Flavors” slogan. But like Heinz and their “Varieties”, this is more down to preference and marketing than anything else. There are many more varieties of Heinz than the stated amount, and there are many more than 31 Baskin-Robbins flavors. They release flavors for holidays and new marketing campaigns. They also launch a nw flavor for each new country they venture into, hoping to cater for the unique local tastes. In fact, there are so many combinations and limited releases that few customers even realize just what those initial “31 Flavors”. So, to refresh your memory, here is a list of the infamous 31. An overpowering banana flavor with a creamy nutty quality to it. Black Walnut: A strong nutty taste. Burgundy Cherry: Strong cherry flavor and a deep red color. Lemon Crisp: A creamy, sweet and bitter combination that works. Maple Nut: Heavy on the maple syrup. Lemon Custard: A creamier alternative to other lemon flavors. Lemon Sherbet: Fresh and with bite. It’s sweet, and it’s different. Chocolate: A staple in all ice cream parlors. Strawberry: Everyone’s least favorite Neapolitan flavor. Chocolate Fudge: Thick, creamy, sweet and delicious. Green Mint Stick: Don’t worry, we are as confused as you are. Eggnog: Now more commonly found during the Christmas season. Chocolate Chip: Another favorite that all ice cream lovers can appreciate. Peach: A light, fruity profile. Butterscotch Ribbon: A heavy, super-sweet butterscotch flavor. Orange Sherbet: A little sweeter than their Lemon Sherbet, and with less of an acidic kick. Chocolate Almond: Nuts and chocolate always work well together, and this is no exception. Date Nut: Similar to Sticky Toffee Pudding. It’s deceptively good. Cherry Macaroon: Like a French patisserie treat. Raspberry Sherbet: If citrus isn’t your thing, then this could be the sherbet flavor for you. Coffee: A common flavor that ties in perfectly with their sister company Dunkin’ Donuts. Coffee Candy: A sweeter version of the traditional coffee. Chocolate Ribbon: You can’t go wrong with chocolate. Chocolate Mint: The ultimate after-dinner treat. Vanilla Burnt Almond: An odd name. But an interesting flavor. Peppermint Stick: Think Candy Cane, and you won’t be too far off. Peppermint Fudge Ribbon: Less peppermint, more fudge. French Vanilla: A twist on the classic vanilla. Rocky Road: A favorite for many ice cream lovers. Pineapple Sherbet: A super-fruity, bitter-sweet flavor. How Much is a Baskin-Robbins Ice Cream? You can see exact ice cream prices on our Baskin-Robbins Menu Prices tables. But to give you a general idea you will pay around $3 for a single and $4 for a double. These are fairly consistent across the board, but there are differences in some locations, accounting for high priced local ingredients, staff costs and property prices. You haven’t lived until you have enjoyed a Baskin-Robbins cake. Not quite ice cream, but it’s a dessert nonetheless and it’s one that we personally prefer to all of their ice cream flavors. There are many great cakes on the Baskin-Robbins menu. These are 6-inch cakes that come loaded with toppings, creams and chocolates. They are great as a self indulgent treat, but you can also order one of them for a kid’s birthday party. Royale Chocolate: This is a super chocolatey feast. As a result, it might not be the best choice if you get tired of the taste of chocolate easily. If you’re someone who dismisses something as “too rich” upon your first bite, then opt for something else. If you’re like us, and are happy to feast on any and all amounts of chocolate—the richer the better—then sink your teeth into it. The Royale Chocolate is multiple layers of chocolate, including balls, ganache and mousse. Hokey Pokey: If chocolate isn’t quite your thing, then try this white sponge cake. It consists of a vanilla sponge with Hokey Pokey ice cream, vanilla frosting and fruit-flavored sugared-toppings. Less indulgent, but even sweeter and just as delicious. Strawberry Delight: Take away the Hokey Pokey ice cream. Leave the vanilla frosting and sponge, add some super-sweet strawberry flavoring and you have the Strawberry Delight. This is a bright pink cake that is also sure to win favor from kids, making it the perfect princess party kid. These cakes are available in selected stores and there many different flavors. We have listed our favorites below based on the average Baskin-Robbins menu. Delectable Designer Bag Cake: Throwing a party for a fashion loving shopaholic? Then this cake is perfect. It is shaped like a little pink designer handbag and it’s made from ice cream and cake. So, this may well be the most perfect thing in the world. It’s a 9 inch cake as well, which means it’s 50% bigger than the traditional Baskin-Robbins cakes mentioned above. Santa Cake: Tuck into cake and ice cream as Jolly Saint Nick grins back at you. The best centerpiece for a Christmas meal or dinner party, this cake is a treat that is sure to be enjoyed and remembered for many years to come. It’s sweet, it’s moist and it’s delicious enough to turn even the sourest Scrooges over to the joys of the season. Mother’s Day Cake: This one is a little less in-your-face and ostentatious. It’s slick, it’s delicate and it’s perfect for the classy woman in your life. This Mother’s Day cake combines delicate white wild roses and pearls, all made from edible sugars and frosting. You can also change the color and the accents. So, be sure to get them in your mother’s favorite color. Birthday cakes don’t come cheap. A lot of work and a lot of ingredients go into each creation. Add a big mark-up on top and you have something that typically costs $50. You don’t pay that much for basic cakes at Baskin-Robbins, thankfully, but their prices can go that high. It all depends on what you want. You can order a simple cake with a single base for less than $25. That will serve 6 to 8 people and will also give you a show piece. If you have a lot of guests to feed, or you just have a big appetite, then you can opt for a large square double-sheeted cake that will serve as many as 48 people. This sugary beast will cost you $60, as well as all the respect that your dentist had for you.